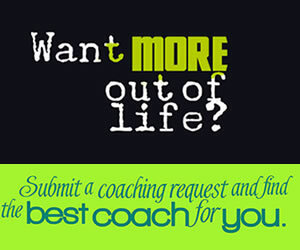 What does it mean to reach the finish line and become a certified life coach? What does it mean to become certified by the International Coach Federation (ICF) and what do the different ICF certifications mean? It is not necessary to be certified by the ICF or any other organization to be a life coach, but it is not hard to do if you are interested in a becoming certified coach. There are no licensing laws that say you have to be a certified life coach before you can open your doors for business. However, some people like having a certification and feel it makes them a better coach. 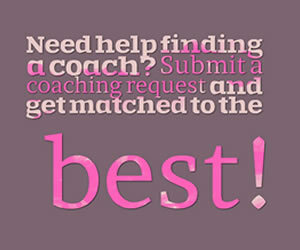 There are also clients who feel more comfortable with a life coach that is certified. 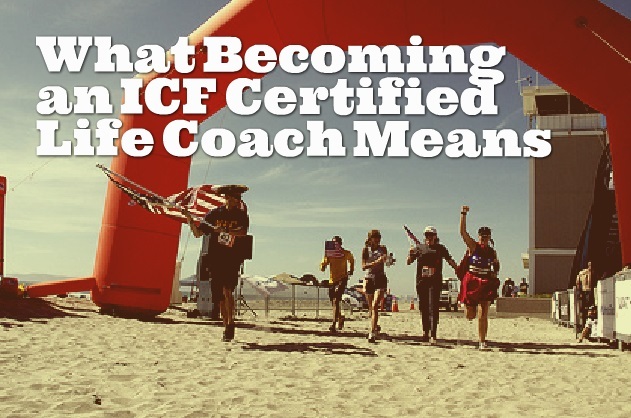 The International Coach Federation (ICF) is only one of the organizations that certifies life coaches, but its visibility in the coaching community is growing, so some coaches are choosing to get an ICF coaching certification. There are three main types of coaching certification that are recognized by the International Coach Federation. The first ICF life coach certification is the Associate Certified Coach (ACC). Second ICF coaching certification is the Professional Certified Coach (PCC). Third ICF coaching certification is the Master Certified Coach (MCC). As one might suspect they are designed to grow from one level to the next until the coach reaches the level of MCC. Let’s start with the Associate Certified Coach (ACC) certification. ACC certification is the most basic of the certifications available. The ACC certification is a credential designed for the coach who has some coaching experience and training. There are two different methods that a coach can choose from to achieve this certification. The first is known as an ACTP application (ACTP stand for Accredited Coach Training Program). The applicant needs to complete an entire ICF Accredited Coach Training Program, complete 100 hours of client coaching experience, and have two letters of recommendation from qualified coaches. There is also a $100 to $300 fee that needs to be paid to the ICF. The second method is known as a Portfolio application. This requires 60 hours of training in a coach specific area (know as Approved Coach Specific Training Hours or ACSTH). The applicant will also need 100 hours of client coaching experience, ten hours of work with a qualified Mentor Coach, and letters of reference from two qualified coaches. The same $100 to $300 fee to the ICF is required. There is also an oral exam that is required and carries an additional $200 fee. The next level of ICF coaching accreditation is the Professional Certified Coach (PCC). As with the ACC certification there are the two different methods of certification that the life coach may choose from. The requirements are more extensive. For the ACTP application path to a PCC certification, the applicant needs to have completed an entire ICF Accredited Coach Training Program, completed 750 hours of client coaching experience, and have two letters of recommendation from qualified coaches. There is also a $300 to $500 fee that needs to be paid to the ICF. The portfolio option is also still available to those wanting to be certified at the level of Professional Certified Coach. The requirements for that are: 125 hours of training in a coach specific area (Approved Coach Specific Training Hours), 750 hours of client coaching experience, ten hours of work with a qualified Mentor Coach, and letters of reference from two qualified coaches. The same $100 to $300 fee is required to be paid to the ICF. There is also a three part exam that is required and the carries and additional $275 fee. The final level of ICF coaching accreditation is the Master Certified Coach (MCC). There is only one way to apply for this certification. The applicant must have 200 or more hours of coach specific training, 2500 or more hours of client coaching experience, ten hours with a qualified Mentor Coach, and letters of reference from three qualified coaches, as well as paying the $300- $500 fee. There is also a three part exam and an additional $275 testing fee. It is not necessary to be certified to be a life coach, and the International Coach Federation is only one of the possible avenues that gives out life coaching certification. But if you do choose this route, following the steps above should help you in your goal of earning an ICF life coaching certification.